What do we want? Fresh coffee! When do we want it? Now! How do we get it? 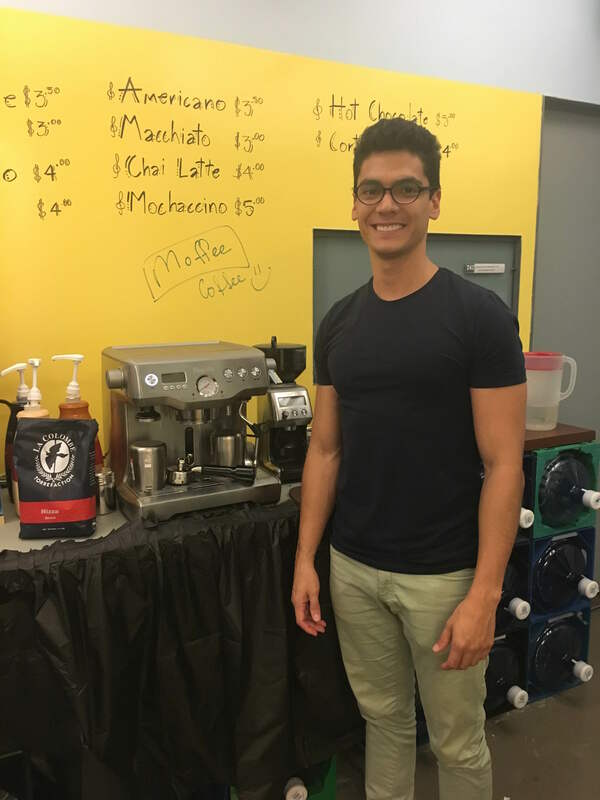 By ordering it through Moffee, an awesome new startup created by our very own Daniel Botero (MS-CS ’17). Dan has used his entrepreneurial vision and applied it to a thriving industry: bringing coffee to the masses just when they need it the most. 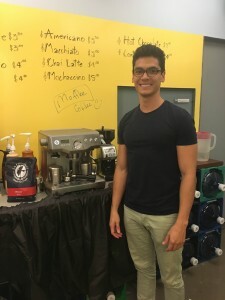 Moffee is a coffee delivery service that accepts orders through its self-titled app and brings your order to your location on or around the Pace downtown campus. “I didn’t just love [coffee] because of the caffeine. I loved drinking it and became used to it,” says Dan. Daniel came up with the idea for Moffee when he took a notice of major coffee houses and observed how people would wait in long lines just to get a cup of coffee. When ordering your coffee, you have complete control over what you want. Pick the type of drink (espresso, latte, hot chocolate, tea, etc), the milk, and the sweetener, and Moffee will make it to order. Dan is running the service on weekdays between 9am-6pm, which is perfect for getting that much-needed caffeine fix before class or during study sessions in the library. Moffee is also inexpensive by usual standards – most drinks will run you between $3 and $5. 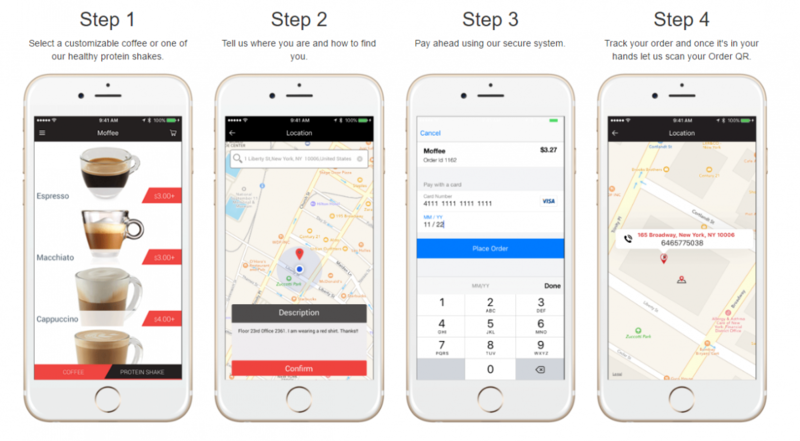 After ordering, you will receive details such as the name of the person bringing your coffee, their number, and you can even track them by GPS. Payment is complete when the delivery person scans your order QR on your phone, so you don’t pay until your coffee is in your hands. Worried it’ll get cold? It won’t – Dan uses specially constructed lids from Taiwan that ensure the drink stays nice and hot. His experience in starting Moffee has taught Dan a lot about how to run a business, including many dos and don’ts. Some ideas and strategies went well, while others fell flat and needed to be disregarded altogether. “I was always asking myself what else I could do and what my next idea was,” says Daniel. In the future, Daniel wants to have a space where the employees can relax and do homework while waiting for orders to come in. Jobs with Moffee are offered to Pace students only, and the coffee shop would be on campus. Interested in applying? Contact Daniel through the Moffee website. If you would like to learn about Moffee and discover awesome promos, visit them on Facebook, Instagram and Twitter. Have you tried Moffee Coffee yet? Comment below and let us know what you think!